Some years ago I read a short story about a couple papering over the windows of their home, sealing the doors, preparing a literal last supper of their favourite foods, then waiting to die. Despite how bleak this sounds, the tale was beautiful – eerie, romantic and not half as sad as you might think. I wish I could remember who had written it. 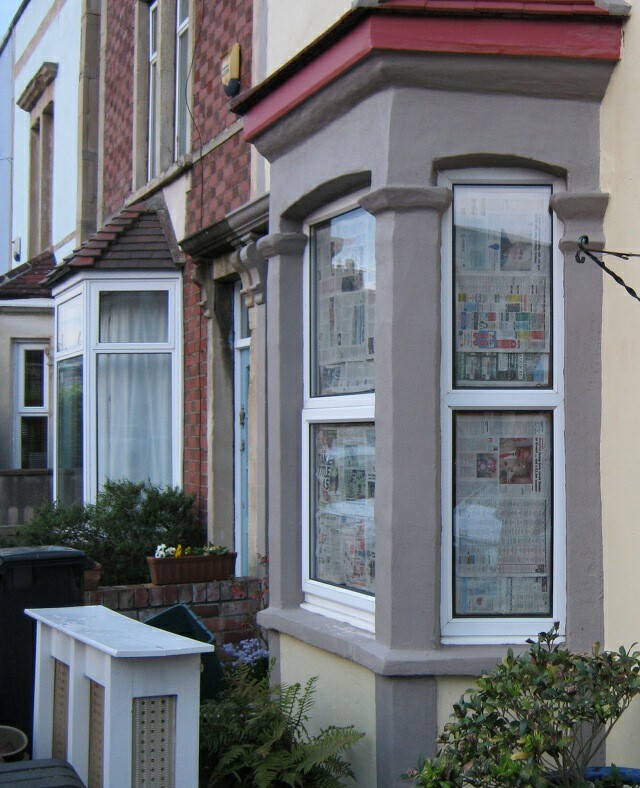 A few days ago on a stroll around my neighbourhood I came across this sight, and was instantly reminded of that story, then thought of all the other reasons someone might paste newspaper over their windows. To prevent nosy people peering in, or to stop someone seeing out? Might they be hiding something (a brutal murder?!)? Is this a curious party venue for the uber cool? Or a social experiment? Does someone particularly paranoid live there, or someone relatively normal up to something incredible? 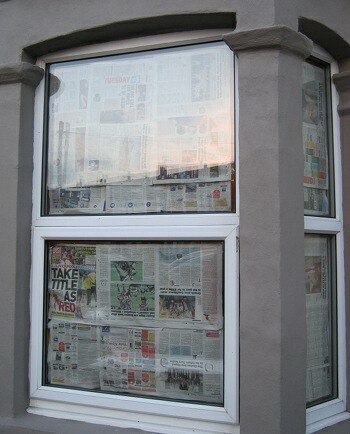 Or in fact is it not what’s behind the windows but the newspapers themselves that are significant. A secret code of sorts, perhaps, but to be interpreted by whom?